Macron's visit to the islands of St Martin and St Barts comes almost a week since hurricane Irma roared over the region as a maximum Category Five storm. 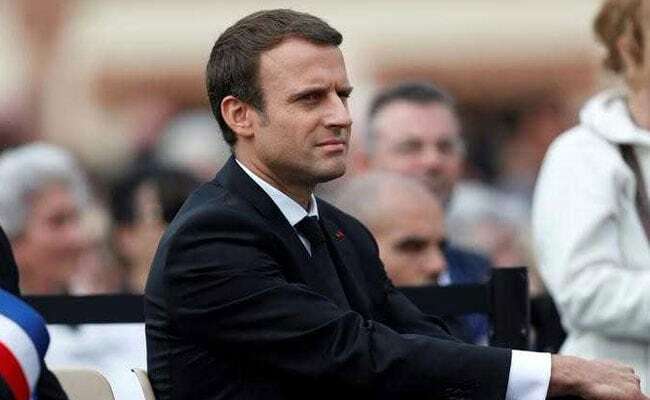 Marigot, France: French President Emmanuel Macron travelled today to the hurricane-hit Caribbean, to join the Dutch king who has expressed shock over the devastation on the worst-hit territories. Macron's visit to the islands of St Martin and St Barts comes almost a week since hurricane Irma roared over the region as a maximum Category Five storm, leaving at least 10 dead on French territory and a wide trail of destruction. Authorities have begun evacuating locals and tourists from the hardest-hit French, British and Dutch territories in the Caribbean where many have complained about a breakdown in law and order and widespread shortages of food, water and electricity. Dutch King Willem-Alexander spent a night on the Dutch side of the divided island of St Martin on Monday and will travel on to other territories that bore the brunt of one of the most powerful storms on record. "Even from the plane I saw something I have never seen before," the Dutch royal told the NOS public newscaster. "I have seen proper war as well as natural disasters before, but I've never seen anything like this". "Everywhere you look there's devastation, you see the collapse," he added. Like the French and Dutch governments, Britain has also faced criticism for failing to anticipate the scale of the disaster caused by Irma. Under pressure to be more responsive, foreign minister Boris Johnson is expected to travel to the region on Tuesday for a visit to the British Virgin Islands and Anguilla. According to the latest official figures, Irma left 10 people dead and seven missing on the French islands, four dead on Dutch territories and six dead on British ones. Macron's plane touched down in Guadeloupe Tuesday enroute to St Martin.